Don’t Make This Mistake When Hiring An Agent To Sell Your Home! 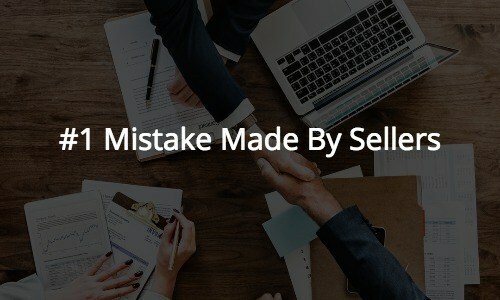 The number #1 mistake home owners make when hiring a real estate agent to sell their home is to hire an agent based on price. Many sellers interview multiple agents and choose the agent that tells them their home is worth the most or that it'll sell for the highest price. I wish this were possible but it simply is not possible. Realtors® nor sellers can control how much a buyer is willing to pay and we know market value is simply how much a buyer in today's market is willing to pay. Buyer's control how much they're willing to pay not Realtors®. In order to avoid this costly mistake, here are the most important criteria for hiring an agent to sell your home. The agent that can correctly expose the property the highest number of buyers. In other words, the agent who is a marketing expert. If a buyer isn't aware the house is for sale, they'll never come see it! Marketing is much more than flyers and postcards, it means the agent can leverage all of the tools available to a Realtor® to increase the number of interested buyers who will learn about the listing. An agent must be a strong negotiator. There is no compromising here. Once an offer comes in you need to be confident your agent isn't leaving any money on the table! Your agent should be an expert on the the contract terms, contingencies, and mortgage guidelines to to ensure you're not only get the best price but the right terms as well.